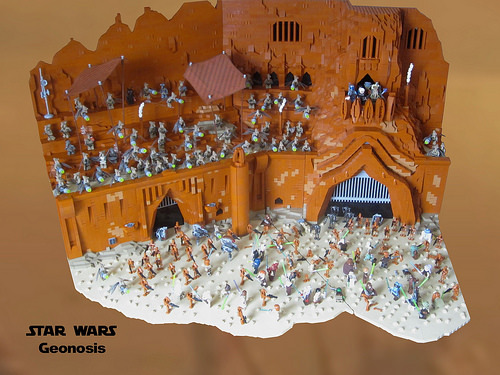 KW_Vauban captured the Geonosian Petranaki Arena scene from Attack of the Clones rather well with LEGO bricks. 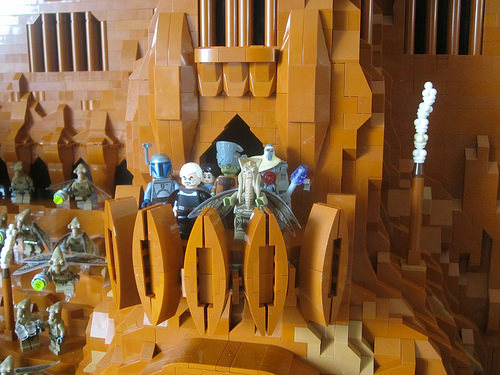 The builder’s use of dark orange bricks on detailed and accurately constructed Geonosian architecture was a smart choice. In particular, I like the construction of the main gate with the CIS overlook above. 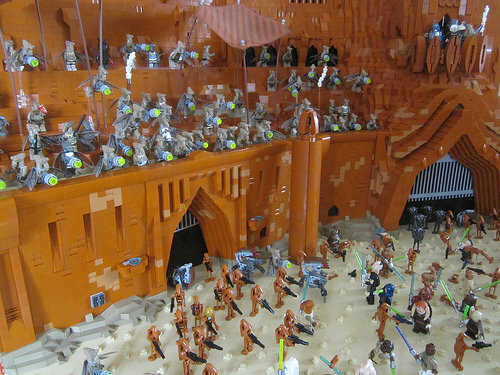 Dozens of Geonosians line the arena, while Battle Droids and Jedi fight below. 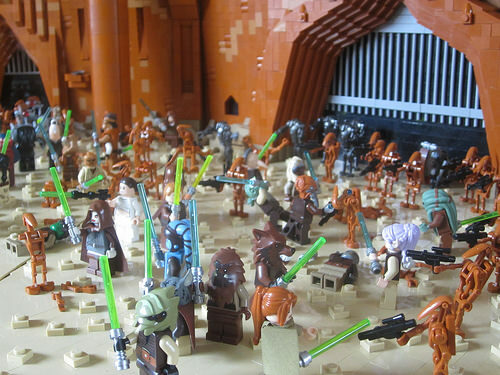 Jedi of all species fight side by side on the arena floor. On a balcony above, Count Dooku and Jango Fett watch the chaos with Geonosian Archduke Poggle the Lesser. Getting that many Geonosians must not have been cheap, and the arena is very nicely done.